Good Evening Quilters….I know you thought I was going to forget about this post….I even got some texts and emails asking if I was “OK” or if they accidentally deleted their email…but no… I am just late because I am putting the finishing touches on my NEW studio…everything is all set minus a little decorating…which we can always do that…and its so exciting…will show you some pics after this 12 day thing…now for todays item…. k and Quilting magazine…it was submitted by Kathy Holland… an awesome scrap quilt…I will show you my progress so you see how fast it goes…I mark with a light grey chalk pencil that just rubs away by the time I am stitching on the next arc my arm is rubbing off the chalk…If you would like this template set it is on sale on our website…FAN TEMPLATES here. They are regularly $15 and will be on sale for $12. Surprise! one more gadget I need since I have a Longarm they sire would come in handy! Awesome templates. I will have to try them. Oh wow! These look fantastic! I’ve been wanting to try an all over baptist fan quilting motif on my quilts but have been too nervous! These are perfect! Thanks so much for the giveaway! OK – this is cool! This would definitely be a refreshing change for hand-quilting. Wonderful idea. I am glad to hear that you still hand quilt. On my list to get back to some hand quilting this year. I have always loved the Baptist fan motif. These templates are fantastic! Thanks so much for the fun giveaways. So simply, yet so helpful! Love them!!! Seriously! How cool is this tool! I need it. These are really cool – great idea…must have them! 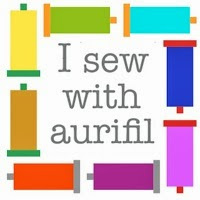 This is me…assuming that I will ever get anything to the quilting stage! There’s always wishful thinking! These look really cool. A great way to make fans. Thanks for showing these. I love the look of quilted fans-these look pretty slick! Well isn’t that just another great idea! Thanks for sharing. Think I am going to have a gold sized order by the end of these twelve days! This fan has to be my favorite overall quilting design! How clever! Thanks for the neat ideas! That looks like the coolest set of templates!! What a good friend you have that would have them made for you!!!! Just at your shop last week. Had I known, these could have come home with me too. Maybe the next time I’m up in the Fox Valley! I have to get this! I love the Baptist Fan and these would be wonderful. The templates are a great idea. I need to do more hand quilting. I would love to take your Big Stitch hand quilting class. Maybe someday. Those are cool templates! Love them! Thanks for the chance to win a give away! How cool are these templates, great idea! I can’t wait until you share pictures of your new studio. Wow-how neat! You’ ve been showing some awesome new tools. The Baptist fan is my favorite and I have not tried hand quilting it but with those ruler/templates, I might be able to do it. Thanks for sharing! These will be great tools for both hand and machine quilting. I can’t wait to give them a try. Look forward to these posrs every year. Thanks for sharing. Awesome template. You amaze me with all the quilting gadgets that I have never seen or heard of until I read about them on your blog. Thank you for making me aware of these great gadgets. Great templates, I would like to try them. I have the perfect quilt to use these on! Thanks again, Lisa! I love this idea, I love to hand quilt and I see lots of possibilities. Keeping my fingers crossed that I win. I have been wanting to try the Baptist Fan and this will help so much! I hope I win. Thank you, as ever, for the great giveaway. These templates are brilliant! So glad you didn’t keep them to yourself. Thank you for sharing! The big stitch is very, very nice! The template would help keep stitches in line. That’s really cool with the big stitch quilting. I love quilting with perle cotton, if I’m going to do the work I expect that someone will be able to see it!! Like these templates since I am always looking for new ways to make quilting easier. Love the big stitch quilting.! I learned that method from you several years ago. Relaxing stitch to use. These are awesome! Thanks for thinking of us and knowing how much we would love these too! These look wonderful – another must-have. I am big stitch quilting for the first time on a quilt and those would be great. Keep them coming. WOW!! love those fan templates!!! They are now on my Christmas list!!! Thanks for sharing! Love these templates! They are going on my list…. Love that scrap quilt. I’ve never learned to quilt on a frame- not sure how you quilt in all directions when your quilt is fixed. I guess you learn to go in all directions, I’ve seen the Amish do this. Oh I hope I get picked for this. I want to try my hand at fmq and I think these would be perfect. Thanks so much for a chance. I have a longarm, but have always been afraid to do a fan. These templates look like they would be easy to use!! Thanks! These are going on my list to Santa! I use stencils quite a lot for hand quilting but I’m a bit bored with the ones that I have. These would be very flexible to use for marking. Another “needful” item. You never cease to maze me! One more gadget on my “needful” list! I was wondering what happened to your post too – – thought you must be sick! Glad you aren’t! What great templates, I think I’m going to “need” those! I’m currently working on that same quilt! I need these arcs when I get ready to machine quilt it, they have been added to my “have to have” list. Hi Lisa, does it have to be a large quilt or can you use some of these templates on small quilts? I love to hand quilt. Oh my! I’ve always been wary of trying to mark a Baptist Fan pattern, but with these, it looks foolproof! My list is of needful things is growing. Thank you for telling about them! And yes, I was wondering if you were feeling worse today. Glad to hear that wasn’t the reason this post was later. What I love about the 12 days of Christmas is the tools are so different and ones that I have not seen before. I really want to hand quilt a bed quilt and these templates are really neat. Thanks for the fun!!!!! The elves must be reporting our wishes to you! I have a quilt requiring a fan hand stitched, utility stitch, and what happens! You offer us the perfect tool! Thanks so much! I’m going to have quite the order before the month’s end. I’m liking this very much!! I love the fan pattern but didn’t know how you put it together. This looks great. I never know how to mark a quilt so I often just stitch in the ditch. I think this is one I will have to get! Those look SO cool!!!! What a treat it would be to win!!! But just seeing all the great tools on these posts is really fun!!! I think all of the gadgets are needful things! I love Baptist Fans! Thank you for making these available to everyone … I can’t wait to try them! Looks like a very easy way to mark a quilt. I will have to try these templates. Are those templates thick enough for to use with a long are foot? They need to be 1/4″ at least. I love the these templates to make fans. Just awesome. Thank you for the chance to win. merry Christmas to you and your family. Boy, do I need these. I have a new longarm and these would be great! Thanks for the chance to win. Merry Christmas! Great way to mark Baptist fans. What fun to have a new studio, I look forward to future posts showing it off! Wow, another great idea. I may even consider doing some hand quilting with that as a template. Keep the great tips coming! Wow! These look great! I love Baptist fans–this looks like just what I need to make them. I have a “new to me” longarm and would love to try these out with my machine! Like the fan templates and love your hand stitching. Can’t wait to see what you have to share with us tomorrow. Love the Baptist Fan and the big stitch. I would love to try these templates. Love the templates….thanks for sharing!! They’ll be on my wish list!! Cool templates! The first quilt I ever made I hand quilted it using templates. I love how it came out. Very cool templates, I haven’t seen anything like them. Thanks for showing them to us. What a cool gadget! I think I need to get these. I clicked on the link and it takes me to a password page. Will go to your website and look for them. I do have a question on big stitch quilting. How do you hide your knot at the beginning when using 12 wt cottons? Theses are so cool! I see a set of these in my very near future! All of your needfuls have been wonderful! These templates are great. They let you mark as you go instead of feeling overwhelmed with the prospect of marking the whole quilt at once. What a unique idea! The fan quilting looks good on so many types of quilts, so this would be really handy to have. A cool, thanks for sharing! Loving your needful things and the snowflakes. Amazed at all the goodies I need. Okay, I’ll admit I just have to have them. Not all but many. There is a limit. Thanks for making this a learning opportunity to bring more joy to quilting, Lisa. Now, hope you are getting over the crud and resting and eating and resting and eating. The templates are great. I have a quilt ready for quilting that they would be perfect for. I have always wanted to quilt the Baptist pattern but don’t feel confident doing it freehand. These templates will make the process very easy. Thank you for sharing them with us and bringing them into your shop. These look INCREDIBLE!! Love them…thanks for sharing! Love the templates! I definitely have to get them… I never realized how this one was done… thank you! I’m kicking myself because today I was in your area and was going to stop and get Needful item #1 fir my mom, my sister and myself…and got busy with work meetings and forgot. My job gets in the way of my hobby, but I need my job to pay for my hobby…such a pickle! Wow. I think I could quilt this pattern now. Maybe get away from the straight lines. Lol . The fan template is awesome. Perfect when you need a nice overall pattern. Wow I love these! How fun to be able to mark a quilt so easily. I am just learning to “quilt” my “tops”. What an amazing idea and it looks like something I can handle without too much stress. I might even be able to breathe as I work.!!!! These arc templates are great, adding to my list! These are something new to me, but I can certainly see how handy they would be. I am a hand quilter and have used a compass for draw my arches for fans. These would be so much easier. New studio? Can’t wait to see pics. These templates are really cool. I have a large frame for hand quilting that I would love to try these on. Thank-you for sharing. I sure don’t know how you manage to do all that you do. Hi Lisa. I have so enjoyed these posts. I have always wanted to try this quilting pattern and these templates make it seem very achievable. Happy holidays to you. How did you know this is just what I NEED! Thanks for the chance! What a cool idea for doing some big stitching. Thanks for showing us. What a great idea for marking! I love to do Big Stitch Hand Quilting. I often use different size plates from the kitchen to mark quilt patterns. The templates would be much easier to use and position. Would love to win these. Lisa, I can’t believe how much I look forward to these 12 days of Quilting emails…..fun! This fan template looks like a nice way to mark this design. I like your big stitch quilting with the dark thread. What a clever idea! Love anything that makes quilting a little easier! Wow! Those are so cool! I have never seen anything like it. I think that these templates would be useful as I work on my machine quilting techniques. What a great idea, I would love to try them out! I have been putting off doing arc like things because I could not find the right tool – until now! These would be a WONDERFUL addition to my growing tool collection. Happy Holidays! I have been putting off doing work like this because I could never find the right tool. Until NOW! THose would be a welcome addition, and I would love to have them in my sewing room. Happy Holidays! The tempkares look like a timesaver. I love the pics you post to help display the details of the notion! What a great idea! I am glad you are ok and I didn’t accidentally delete your post. Looking forward to seeing the photos of the new studio! What a neat template set! I love all kinds of templates and have never seen these before. Great pictures too. Wow, looks like a great idea. would be very helpful. I love using this quilt pattern and now you have acrylic templates to make it much easier. I love them. What a great friend you have. Brilliant!! Just finished Craftsy ‘Hand Quilting’ course so I am looking at frames etc to start practicing. I also bought Cindy’s Machine Quilting course to help improve my machine quilting. She uses a lot of stencils so have spent many hours looking at those ending in confusion. Love the look of Baptist Fans but which size is practicable? Wow!! I love this! Love a chance to win this one! I am a new quilter so still finding my way as far as quilting is concerned, would love to have a go with these though. Great idea! Will have to take advantage of this one! I’ve always wanted to handquilt Baptist Fans on one of my many tops, but I’ve been a little scared about getting the arcs even.. These templates look wonderful, should make the job so much easier. That does look like the perfect tool for quilting scrappy blocks. The shape fits the natural arc of your hand. Great job with the posts. I love Baptist fan quilting design and this tool seems great for marking. You have great friends that make you awesome tools! Love the quilt and love the templates. I also was amongst the ones hoping you were okay. Love following your blog, your work is always so beautiful, and your quilting and life adventures fun to read. Thanks for taking the time to keep blogging. I can hardly wait to see the new studio. These look wonderful!!! I hate marking fan quilting lines but these will make it so much easier. I will be getting these. Thanks Lise. These templates are genius! I have tried using a whole template out of plastic and it didn’t work so well. Love your list of needful things. What a great idea!! The fan is one of my favorite quilt patterns but I always have trouble getting the markings exactly right. 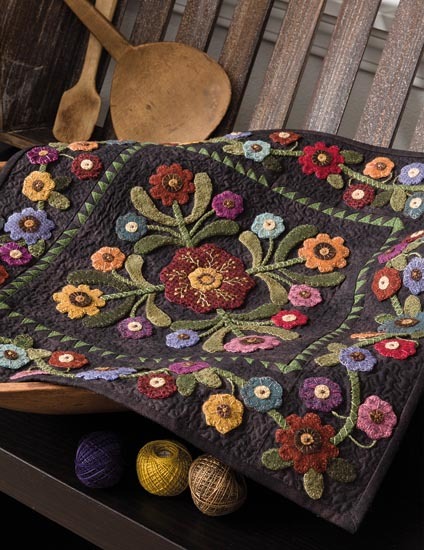 The fan is so great for both traditional and modern quilts. Really going to have to get a set of these!! When I click on the link, I get a popup from CubeCart to login. I don’t have a login or a password. I love it. This one I have to have. And now I will have to go back and order the other Needful things that I thought were great but some day I would order them. Another must have item with the fan template. Keep posting great needfuls! What a great tool! I’ve always liked the fan design but thought it would be to hard to get it so even. This is definitely on my list of must haves. Thank you for constantly sharing so many great ideas, tools, tips and tricks! What a great and easy way to draw fans. I love to draw them on the big quilts that I hand sew, but I use cardboard and it is very creased now!! I think I may need to purchase some. This template set would be a wonderful tool to have….love it. Fans are my favorite quilting design for anything that feathers would be too fancy. I have always been afraid to try these as my longarm skills are not that great—I hope I can add a YET to the end of this sentence. I would love to order these (after Christmas). I`m hanquiltier and I`d be very fun play with these tool and very welcome for someone like me that when I see a curve run.Sure this tools would become one of my fav. Alwayswanted to do a Baptist fan – and love the tool from yesterday – so I am waiting until the end to place my order. Thank you. Having struggled trying to line up a perfect set of fans on my last quilt, this is a great answer to the problem! I love the Baptist Fan quilting pattern – so I sure would enjoy these. Thanks for your posts. I have never seen templates like this before. I am definitely going to buy them! Thanks for sharing this special item and for all of your posts! Your timing is perfect! I was just wondering the other day how one would mark for this pattern. These templates would be wonderful to have! These look like a must have! Thanks for showing us these new tools. Love new tools. Thanks for all the posts showing your needful tools. I have my order in, can’t wait to try!!!!!!!!!!!!!! Great idea! The dinner plate, lid comment… that’s where I would go! Cannot wait to try these WITH your big stitch hand-quilting method! I love these! I do alot of machine quilting and am always looking for new tools to use (rather that can’s, lids or plates to use as a template). These will work great to use for machine quilting! Love your quilting stitches!!! The templates look so easy…so much better than the overlay or a compass (ha !). I can also envision using them for a base of sun rays! Have a good day! I’m a hand quilter and have always loved the appearance of fans across a patchwork quilt. 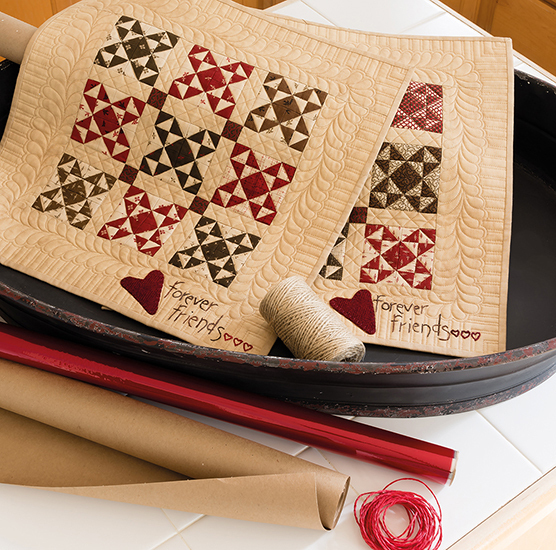 Your templates look like the perfect way to hand quilt a fan design. I’ve used big stitch (not too big) with embroidery floss on casual style liberated quilts; big stitch adn fan quilting go together!Thanks so much for your posts and information. 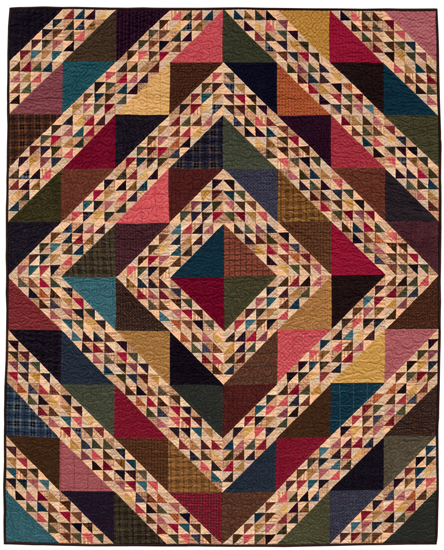 I love Baptist Fan quilting on quilts and this is an awesome tool! Great tool to have! I do a lot of hand quilting and this would be perfect. Thank you for posting this!! Wow ,what a unique tool! I love the way the fans look on your quilt. Looks like another must have quilting tool.